I have to apologize for being totally MIA the last few weeks. First we had family in town and were exploring Dallas with them. And last week, we were able to move into a house! This is really exciting–a real backyard, garage, and tons of storage. We can now let the official countdown to baby begin! Today I am so excited to announce the Anne of Green Gables Read Along 2017! I absolutely love Anne Shirley. But I must admit, I have read only about half the series before. So I decided to change that this year and read all 8 books in the series. And I would love you to join me! Post your reviews on your blog, website, youtube channel, etc AND link them to my monthly posts. 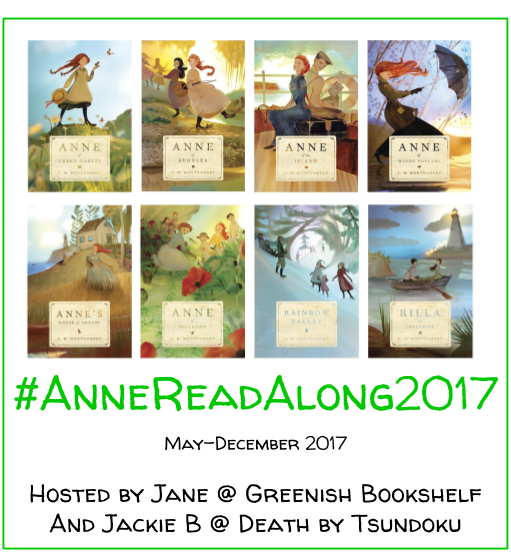 Post your own introductory post about the Anne Read Along on your blog. Include a link of your post in the comments below. I would love some more book loving friends to co-host this read along with me! Let me know in an email (janepotter1000@gmail.com) or in the comments below if you want to help! Happy reading the first book, Anne of Green Gables, this month! Jane I only this day came across this read along and have decided to join in. 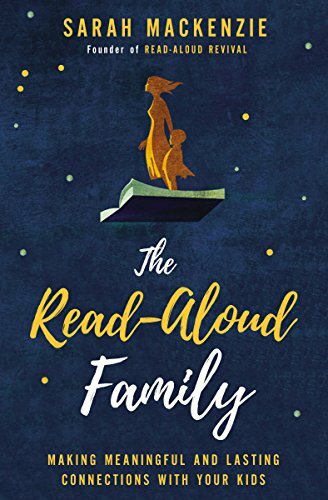 I have just published my join post for the < Anne Read Along. What a great idea. Hi! I just found this from Jackie’s post today – I’m joining in! Glad to have found your blog! I am so excited to have you along with us! You’ll love Anne 🙂 Looking forward to your post! Yay! I’m so glad you are enjoying it thus far! If you want, you can post an intro post just with info about the read along and your plan for participating. But I think your mention in that post is great too. Cool! That’s what I thought, linkups are great. I bet they aren’t hard to do either 🙂 good luck! Alrighty 🙂 Haven’t posted it yet, I will try writing it soon 😀 Loved it! Jane – I thought that I responded to your comment from my comment on your post earlier, but I must have done something strange as I can’t find it now! Oops. I was directed towards your Anne of Green Gables Read Along thanks to Amanda at Cover 2 Cover Mom. I am super excited to participate in this read along! I just started the book last night and I am completely in love with Anne so far. Expect my join-up post soon. I’m always happy to see an Anne Readalong. I read them all just a couple of years ago, but am looking forward to following your progress! Enjoy! Oh, how wonderful to see an Anne Readalong! I read the books with Naomi and other bloggers in 2015 so I’m not quite ready to reread, though it’s tempting. But I will follow along. Have fun! Nope! I’ve never read it, but have meaning to for YEARS. Thanks for inviting me to the party 😉 Have you thought of making a hashtag for social media? Hi! I haven’t read Anne of Green Gables in forever! It sounds kind of fun to revisit it. I’ll probably only get to two at the rate my life goes! Thanks! I’ll get a post up soon. I would love to have you for as many as you can read 🙂 Looking forward to your post!